Turkish Adana kebab is famous far beyond the country’s borders. And it’s not hard to understand why, once you’ve tasted it. Hot, spicy, greasy and full of flavor are some of the words you can use about this particular variant of kebab. And it does not matter whether you get the delicious grilled kebabs in a dürüm roll with onion, salad and tomato or on a plate with tomato bulgur, grilled vegetables and bread. 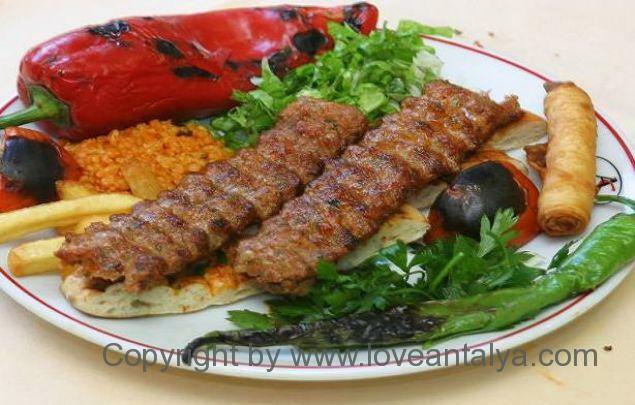 Adana kebab is typically made of a mixture of lamb and veal or just of pure lamb. Both parts work just fine for me. At home, however, it is easiest to grab the calf / lamb mix and is not as expensive as pure lamb. Just where I live, it’s almost impossible to get any lamb at all, unless you either chop it yourself or buy it at one of the nearby farms. 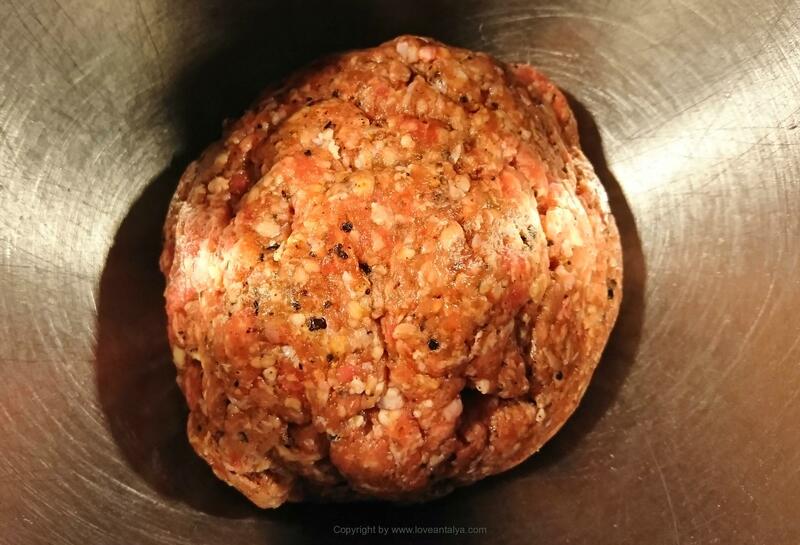 So once in a while I drive to Copenhagen to buy 3-5 kg ​​minced meat at a butcher. It’s always the best meat and it reminds me very much of what I can get in Turkey. It’s up to you, but good meat gives a good result. 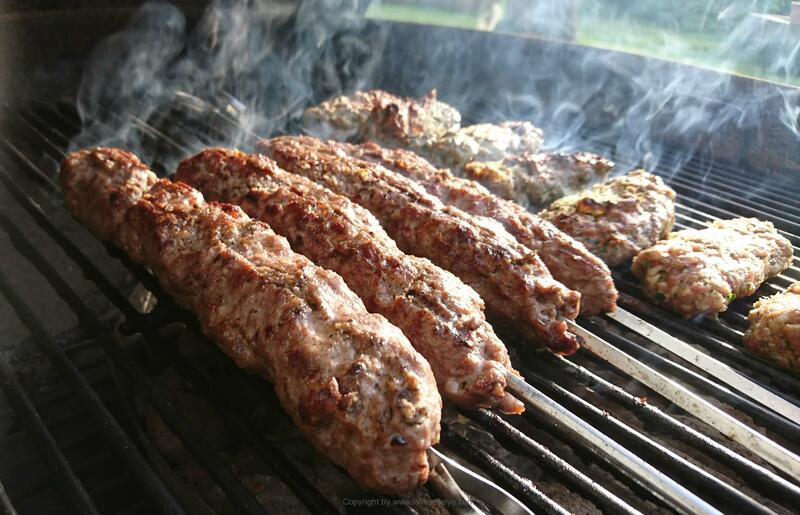 And in Turkish (and when it is being barbecued) it means, that the meat should not be too dry. That means there must be a lot of fat in, which can melt off while barbecuing and contributing to the taste of the meat. And then it’s important that you thoroughly season the stuffing and stir it thoroughly, so that it has a good and consistent texture. Then it can easier stick to the spears. You need 2 spices that are a bit different and not something you usually have. So you just have to buy this before you start making them. 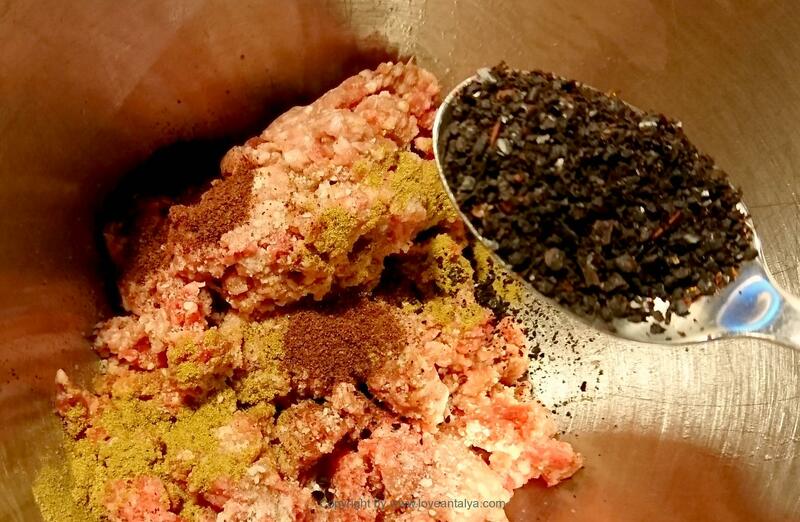 It’s Sumak – which you probably already have in the closet if you’re cooking Turkish food. And the other is Urfa pepper, which is a bit like the red “pul biber”, just stronger and more aromatic. You can replace one with the other (and then just add a little more), but I would recommend you to grab the right black Urfa bibersi. I have often made these kebabs, but most times I have had a bad result. Sometimes the kebab did not taste like I expected (ie, like in Turkey), but most often the meat could not be seated on the stick and simply fall off while barbecuing. Mega annoying …! So, of course, you must have the recipe here. 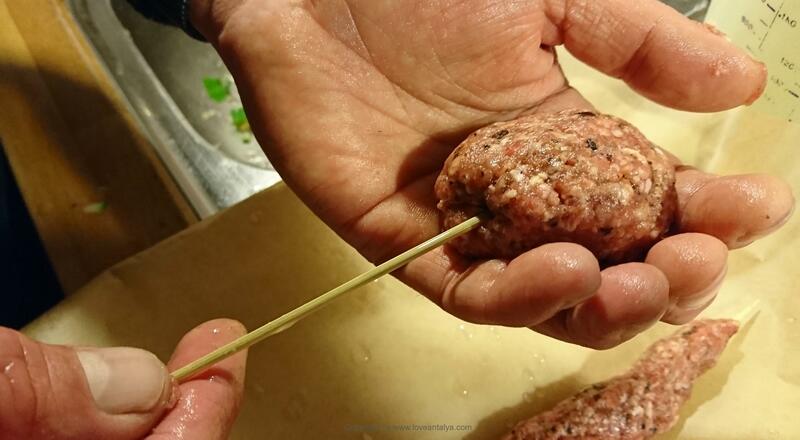 The trick really is to mix the stuffing carefully, leave it an hour or two in the refrigerator – or like the whole afternoon, put the stuffing on the spears and just let them get a little cold again. It sounds a bit time consuming, but the result was simply perfect. At least for us that day (and again some days after). 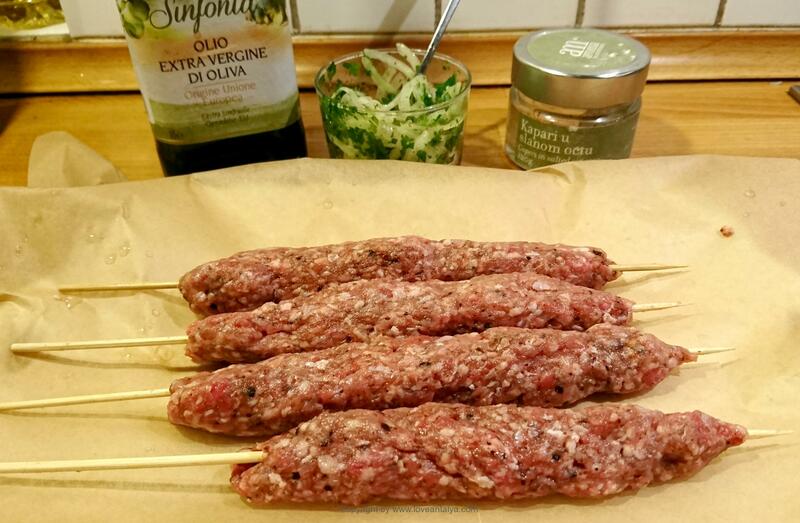 So, I hope that it will be just as good for you, and that you will enjoy and maybe share this recipe with people from near and far – I am certainly very pleased with these wonderful Adana kebabs. 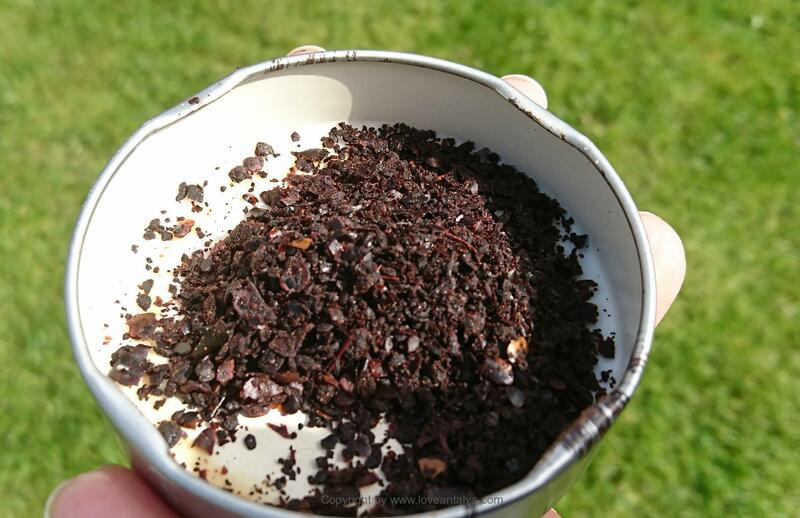 1 tbsp grounded Urfa pepper ( also called Isot pepper) (black chili pepper), alternatively red chili flakes "Pul Biber"
I recommend that you double up this portion. 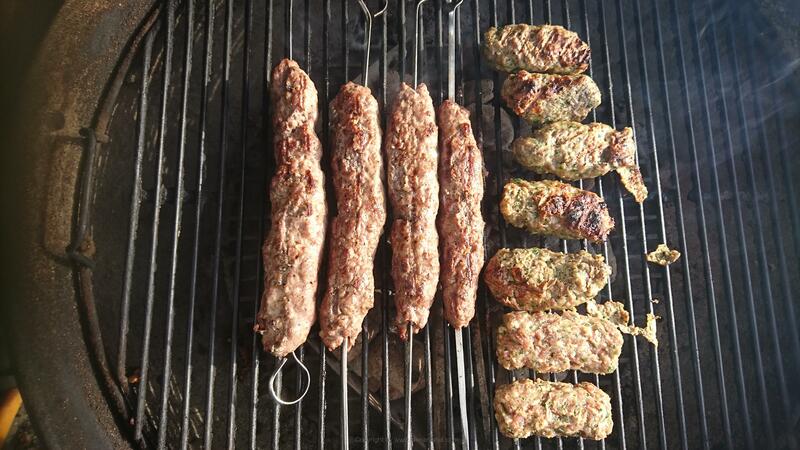 Just like köfte, you will always eat more than what you expect (and the recipe is "only" for 3 people).